Thanks Originally.us I get to attend Cheers with the Stars LINE x 313@Somerset event last weekend. 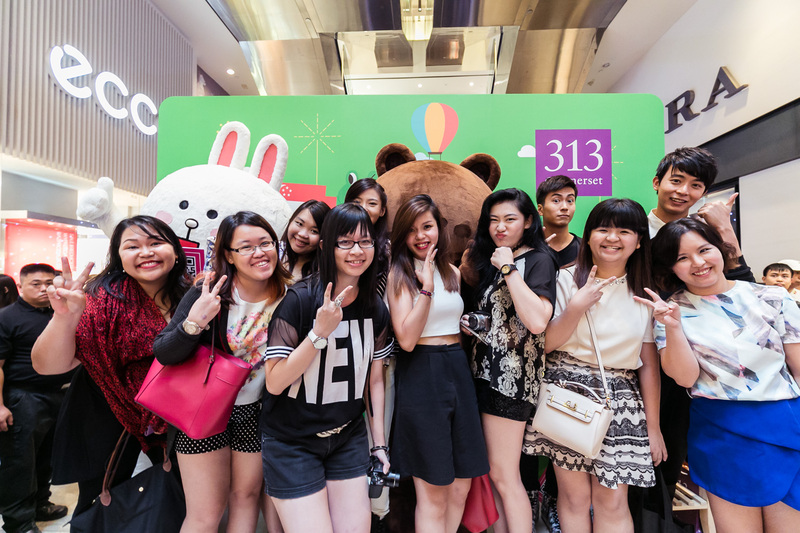 Bloggers get a chance to take photo with Xu Bin, Aloysius Pang and Kimberly Chia, together with LINE’s Cony and Brown exclusively! 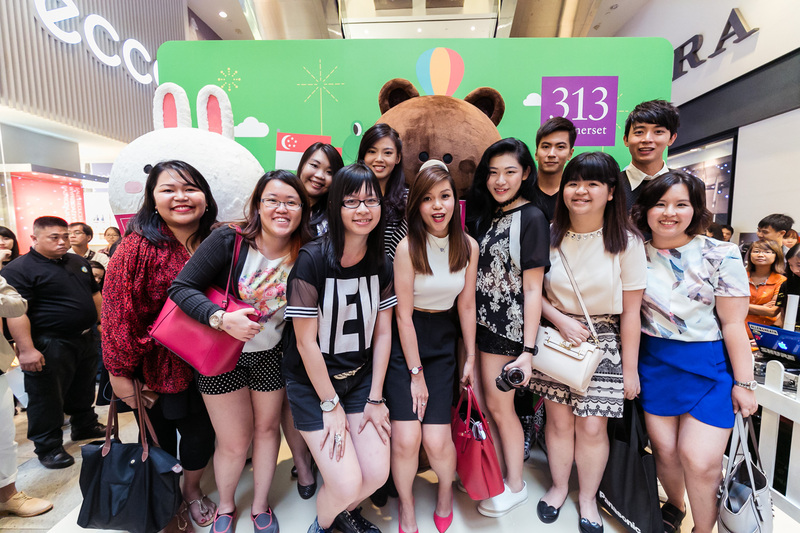 From 8 June to 5 July 2015 Get on LINE with 313@Somerset! 3 exciting & enjoyable events awaiting for you to have FUN! AFTERNOON PARTY WITH LINE FRIENDS AND MORE! Pose and snap your best shot at our LINE FRIENDS Summer Walk of Fame, and stand to win $100* 313 shopping vouchers and LINE premiums*. Simply post your pic on Instagram with hashtag #313BFF. A world of freebies and goodies awaits you as 313@somerset partners LINE to make your shopping a little wilder this GSS season. Follow 313@Somerset on LINE and get ready to party. Download 16 exclusive stickers featuring Carrie and Belle from LINE Sticker Shop and share your BFF moments anytime anywhere. Stand a chance to win $5 313 vouchers by participating in our daily trivia quiz on 313@somerset LINE Official Account. Get your favourite LINE Characters Merchandises at LINE Pop-Up Store located at 313@Somerset Level 1 Atrium. Limited Edition LINE x LAMY Pens! To celebrate SG50 with LINE, Limited Edition LINE SG50 ezlink card specially available for sale at the Pop-Up Store for $10 only! Celebrate this National Day with LINE’s exclusive “We Love SG50” Stickers! 12 May 2015 and is valid to use for an unlimited time. – Type your receipt number in LINE Event Official Account for a sure-win lucky draw of LINE merchandise! Wanna get close with the stars like us? Xu Bin, Aloysius Pang, Kimberly Chia together with Cony & Brown will be gracing the event again on 20 June 2015 at 5pm, Level 1 Atrium. Don’t miss out this exclusive chance to play games, win prizes and have fun with the celebrities! Download LINE and follow 313@Somerset official account on LINE now! Lastly, I shall end the post with the candid photo we took together with the stars!